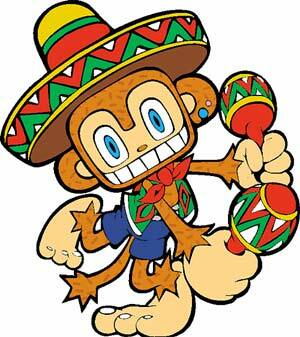 As one of the best games that defined the Dreamcast, Samba De Amigo is one of the premier rhythm games of all time. Unfortunately not that many people have actually played it. While I have greatly enjoyed this unique game, I have not been privileged enough to possess the full Samba De Amigo box set that includes the official maracas and such. GagaMan, from The Dreamcast Junkyard, on the other hand, has posted pictures of his recently purchased set. Gagaman also talks about the many fine details that the set offers in addition to using the maraca set with a handful of other Dreamcast games. Anyway, this set costs a good chunk of change, but maybe someday we will see a new Samba game on the Nintendo Wii as it should be a perfect fit with the motion-sensing controller.